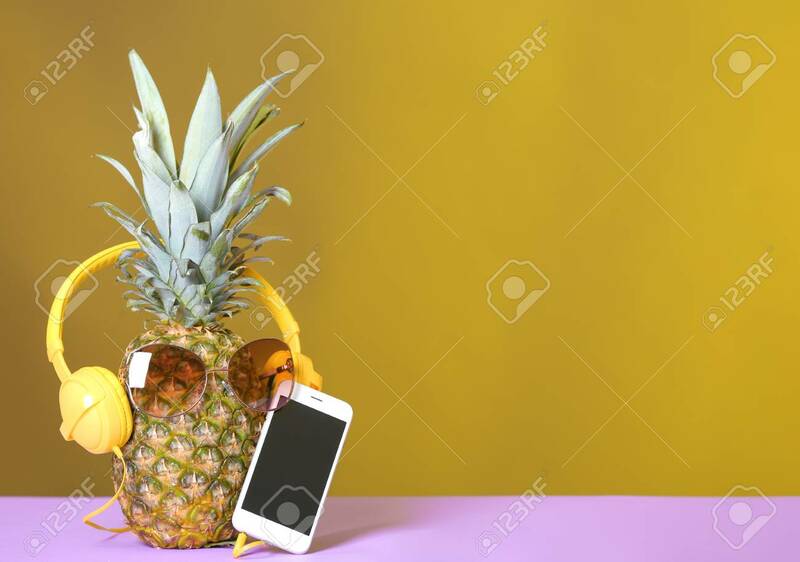 Pineapple With Headphones, Sunglasses And Smartphone On Table Against Color Background. Space For Text Royalty-Vrije Foto, Plaatjes, Beelden En Stock Fotografie. Image 116163732.